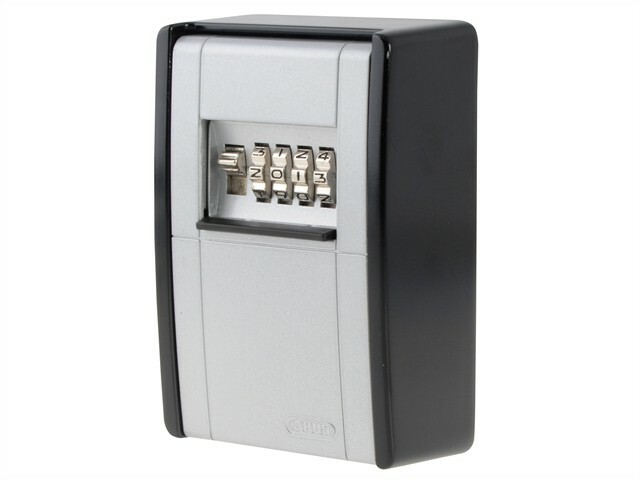 The ABUS 787 Key Garage with a 4-digit individually resettable code, upto 10,000 combinations. Allows access to multiple users by setting and passing on the code. Ideal protected storage for keys and other valuables for authorised persons, fixes to wall fixing indoors and in protected outdoor areas. It has a solid metal housing with a locking cover made from zinc die-cast. The protective cover uses a sliding mechanism to protect the dials from weathering. Ideal for use by care workers, cleaners, workmen or children. Internal Dimensions: 95 x 63 x 35mm. External Dimensions: 120 x 80 x 45mm.